Looking for a great Enduro Riding Experience in Spain? Look no further than father and son team Ben and Steve Kupferberg! 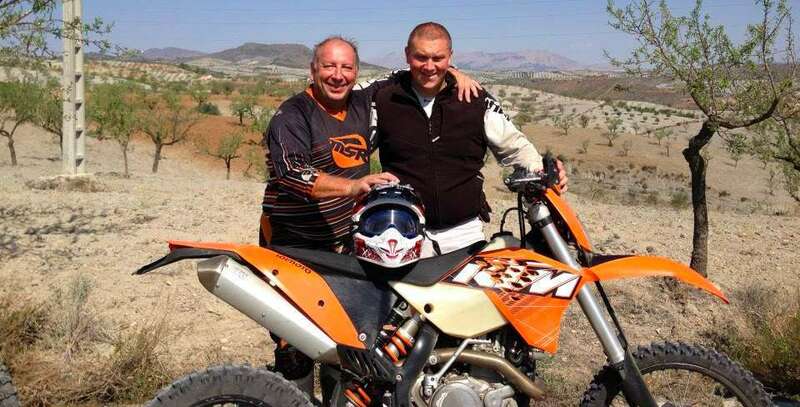 If you have been searching for an Enduro riding experience like no other, then father and son team Ben and Steve Kupferberg and Solmoto could be exactly what you have been searching for! Solmoto Enduro is located in the beautiful countryside of Spain, and offers visitors a unique chance to not only ride some beautiful and challenging Enduro trails, but also the 2013 Enduro World Championships courses and stages! If you would like to see what Spain has to offer from the back of an Enduro bike, then keep reading to learn more about Solmoto’s best guides! Both Ben and Steve are extremely accomplished riders, committed to understanding and meeting the needs of every client, no matter what their skill levels are when they arrive. If you’re a beginner or experienced rider, they have something to offer you. If you have been thinking of taking a riding adventure, then why not see what beautiful Span has to offer? Ben Kupferberg has been riding Enduro in Spain since 2003. He specializes in both Enduro and Motocross riding. He has taken part in a number of different professional events for Enduro, Motocross, and WEC rounds, both at a regional and national level. Since first climbing onto a bike at the age of seven in the UK, Ben has had a passion for riding. Steve has been involved with both Motocross and Supermoto Enduro for many years. He has a passion for riding which comes across clearly in the way he helps instruct visitors to Solmoto. Steve loves to teach new riders and feels that it is his duty to convert new riders to the amazing experiences that they can have with Solmoto Enduro riding. Don’t just take our word for it, though! Check out what Solmoto has to offer!